Wine Information can sometimes be esoteric, but is essential for many of life’s situations. Wine is a social drink, and the best way to increase your knowledge is to converse with others and ask questions. California Wine Country is home to some of the finest producers in the world. Each of the twelve major regions is unique and produces a wide array of truly distinctive wines. Learn more about the wineries you know and love, discover the hidden gems, and enjoy all that the golden state has to offer. 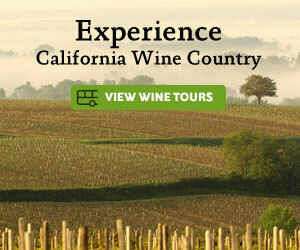 Explore it with our California Wine Country Map. The U.S. wine industry emerged out of a male dominated era; where few women worked in the cellar at all, let alone as winemaker. But as times changed, several individuals redefined the role of women in the wine industry. Red Wine Production can result in styles ranging from light Beaujolais to full-bodied Cabernet Sauvignon. Although the results are strikingly different, the process of production is very similar. Over thousands of years, humans have honed the art of wine grape growing through experimentation and technological advancements. It takes years of investment and meticulous attention to detail before a vineyard yields great grapes. Mankind's history of wine has been a long and interesting one. Neolithic humans produced the first wine using primitive knowledge and skills. Technologies have changed, but the basic process has remained the same. There are many notable individuals, families and institutions that have made the California wine industry what it is today. These people have made a tremendous impact on the past, present and future of California wine. Learn more about the wineries you know and love, discover the hidden gems, and enjoy all that the golden state has to offer. 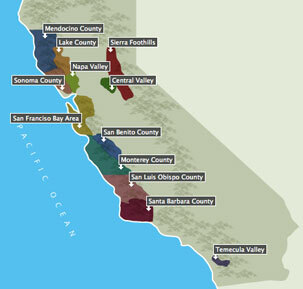 Explore it with our California Wine Country Map. Wine has been used for spiritual enrichment and to cure health problems for thousands of years. Modern science is proving what many cultures have known for years: moderate wine consumption is good for your health. Wine chemistry explains the flavor, balance, color, stability that was once only possible through subjective description. Understanding the principles of wine chemistry will open your eyes to a new level of wine appreciation. Wine Production was first seen 6,000 years ago. But it wasn't until 1857 that Pasteur correctly described the science behind fermentation and Wine Production. Social networks and web applications have taken over the internet. Before 2004, nobody expected any sort of interaction online. Now, it seems that every popular website has some sort of social aspect to it. It has crept into every niche and market, and wine is no exception.